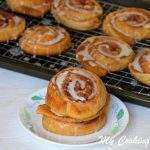 When I was getting ready to bake this Sweet bun, my thoughts kept going back, to my days of growing up in Chennai. 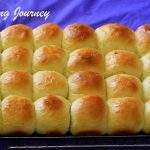 This sweet bun is my mother’s favorite and she would ask me to pick them up every time I am going to Adyar Bakery. 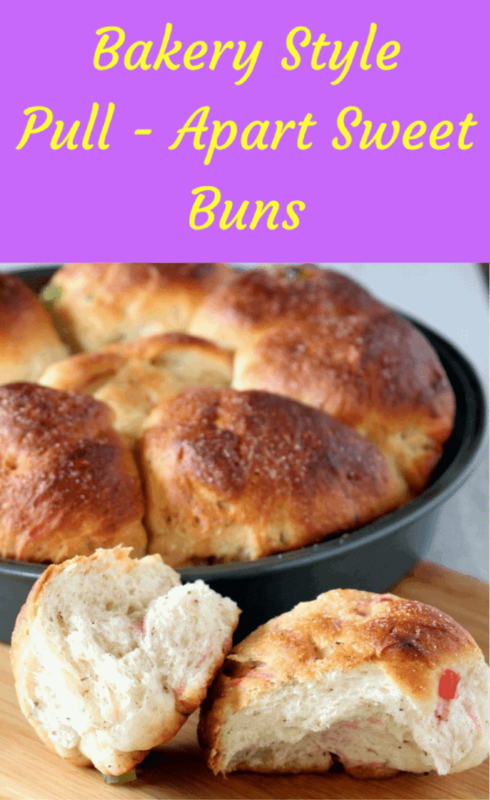 She would enjoy this mildly sweet, soft and fluffy bun embedded with tutti-frutti with her evening coffee. 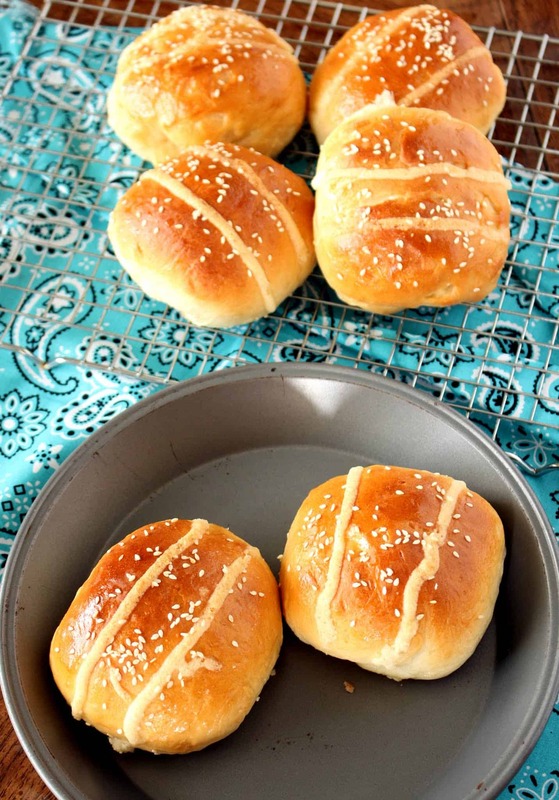 I also love this bun as it is mildly sweet and works perfect as an evening snack. 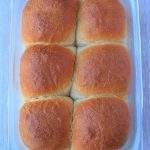 When thinking of baking something for the boys on a lazy afternoon, this was the first bun that came to my mind. 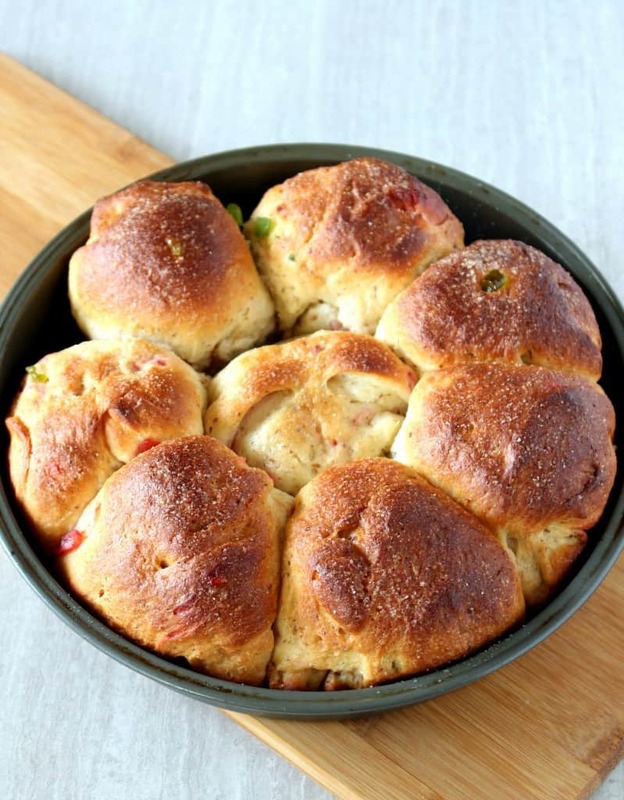 It also fitted in perfect with my theme for this week, which is pull-apart bun. 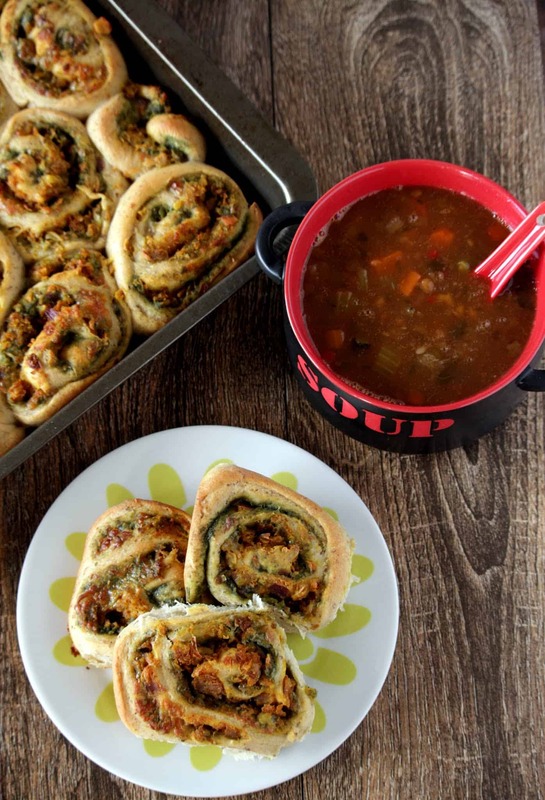 I have already made two savory buns/breads for this week; the pull-apart garlic bread and the pull-apart potato stuffed pinwheel rolls. 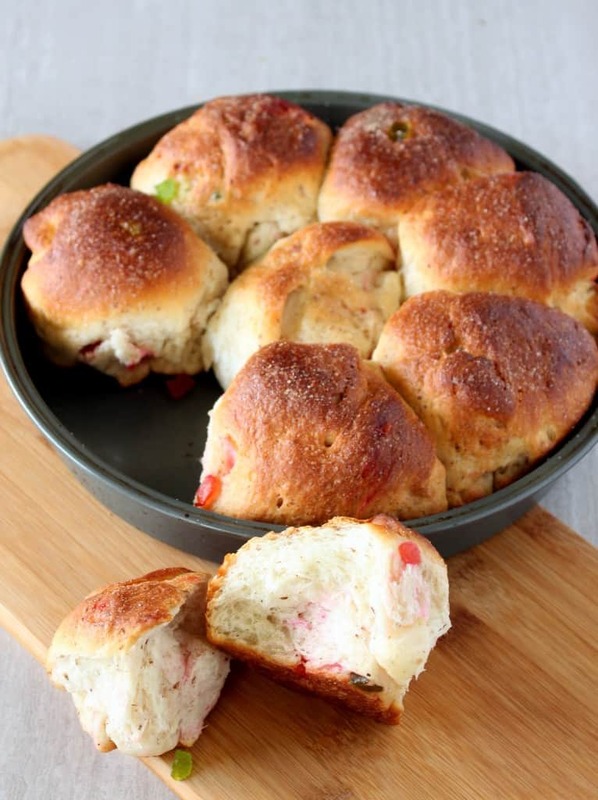 This pull-apart sweet bun is my third and final bake for the week. 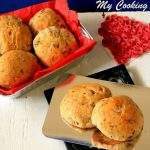 I have used bread flour for the recipe. 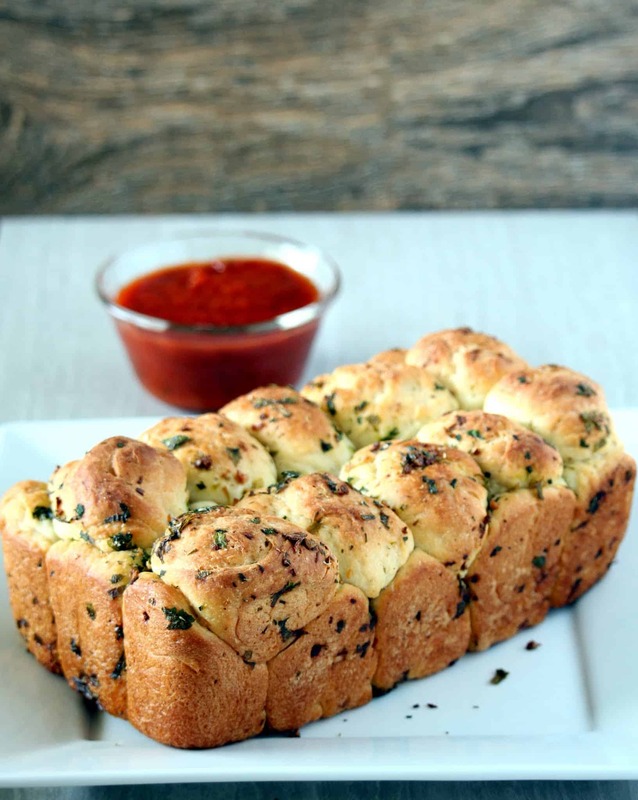 Bread flour is flour that has slightly high protein content than all purpose flour. 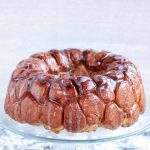 This high protein content works great with yeast breads and rolls as they help in yielding very soft and fluffy breads. 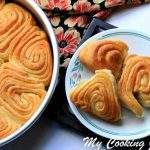 If you do not have bread flour, you could absolutely use all purpose flour in the recipe. Add 1 tbsp of flax meal in 3 tbsp of warm water and let it sit for 5 minutes. I made the dough in my food processor. Combine the flour, yeast, sugar, milk powder and salt in the food processor bowl. Add the flax meal mixture and butter and mix once. Slowly add the warm milk until the dough comes together. I needed a little less than ½ cup of milk, so do not add all the milk at once. 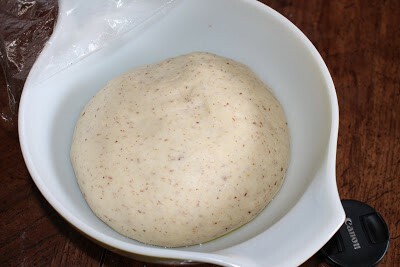 Knead the dough for few minutes until it is soft and elastic and then place it in a greased bowl, covered to rise. 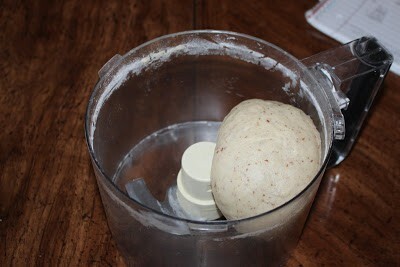 Let the dough rise until doubled in volume. Mine took about 1 ½ hours. 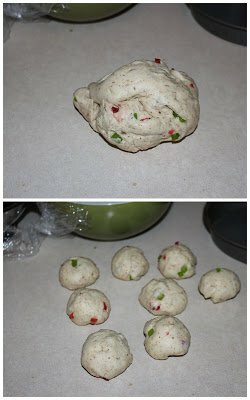 Once the dough has doubled in volume, knead it once in a lightly floured surface and add the tutti frutti to it. 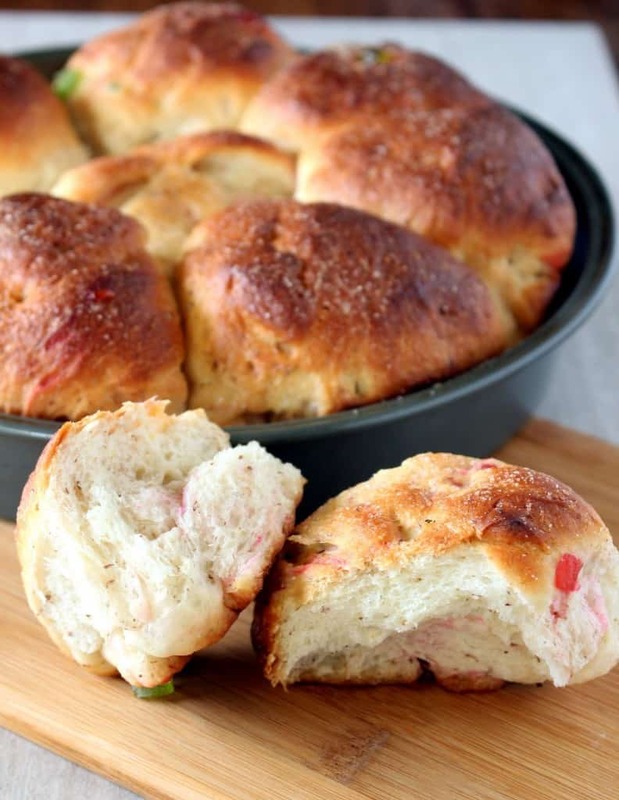 Knead it to evenly distribute the candied fruit in the dough. 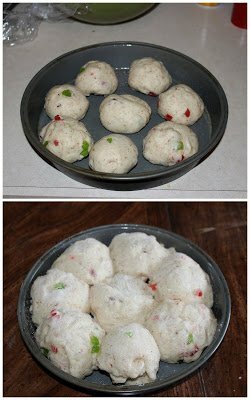 Now divide the dough into 8 equal parts and roll it into a smooth ball. Place it in a greased baking tray about ½ inch apart. Let it rise for the second time. Mine took about an hour to rise. 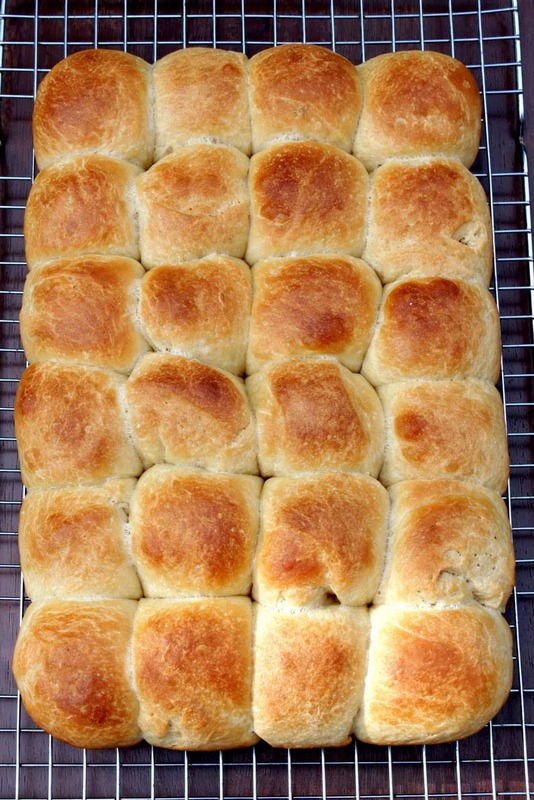 Preheat the oven to 350 F. Brush the rolls with the butter and milk mixture. Sprinkle the sugar on the surface evenly. Remove from and oven and let it cool down a bit in the pan before removing them.